The vineyards of La Geria on the Canary island of Lanzarote are a treat for the eyes. Traditionally each vine was protected by a hand-built wall of lava rocks to shield it from the wind. But over the past five or six years the region has come under threat as farmers abandon the land and the vines have been neglected. TUI Care Foundation supports a project to preserve this cultural heritage of traditional winemaking, by developing ecological winemaking on the island and providing locals with disabilities new opportunities for employment. Sun and volcanic soil create ideal conditions for the delicious Malvasia grape. The varietal is grown in the wine region La Geria, a unique landscape with a long history that has been a protected area since 1994. A huge volcanic eruption between 1730 and 1736 covered the island with a thick layer of lava and ash. After years of struggle, residents learned to cultivate the land and rebuild their lives. Traditional cultivation of grapes on Lanzarote involves planting the vines in pits filled with ‘pícon’—small lava stones that hold moisture well. To protect the vines from the wind, semicircles of larger lava stones are constructed. La Geria’s unique landscape boasts over ten thousand pits and circular walls. Authentic local wine production techniques are very labour-intensive and not cost efficient by modern standards. Farmers are therefore abandoning the land and La Geria is slowly falling into neglect and losing its cultural heritage.  A number of organisations on Lanzarote have joined forces to address this. With the goal of converting vineyards in danger of disappearing into productive vineyards based on organic viticulture, a cooperative of wine company owners has agreed to buy the grapes and assist with distributing the wine. As well as preserving cultural and environmental heritage, this project creates jobs for those with special needs. A dozen people with (mostly physical) disabilities are employed in repositioning the grapevines and rebuilding the stone walls.